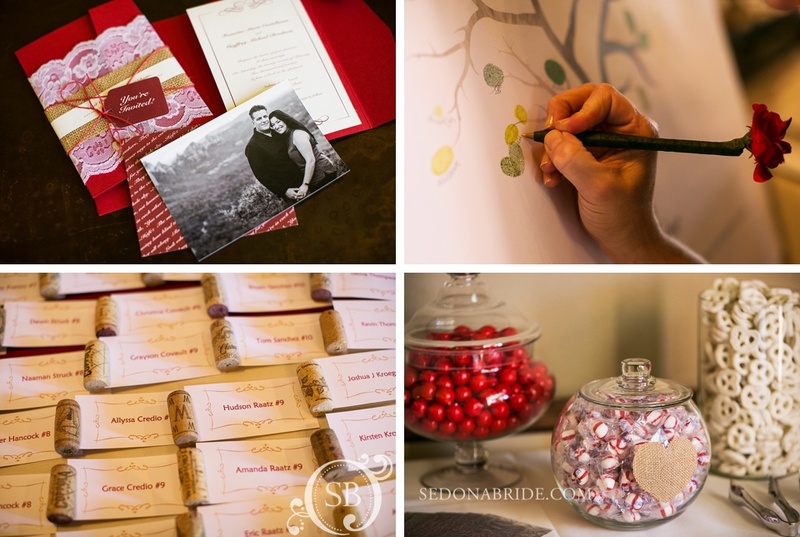 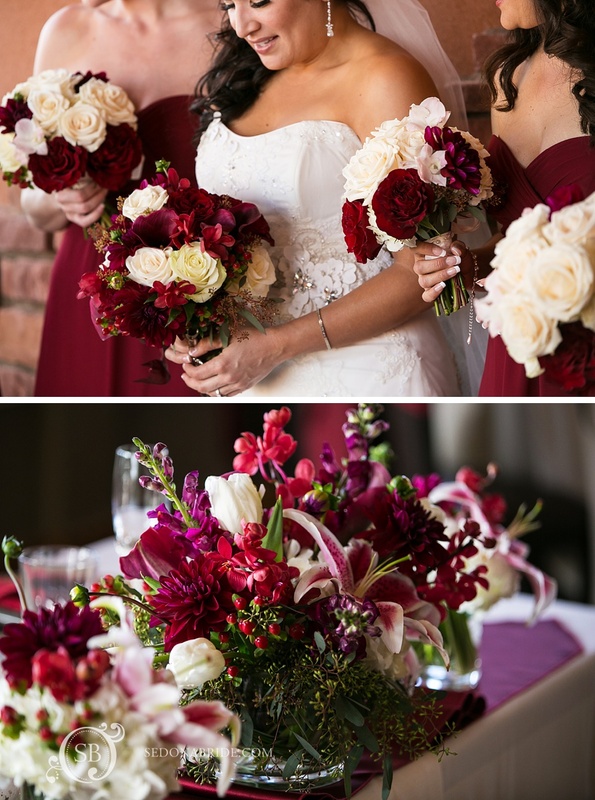 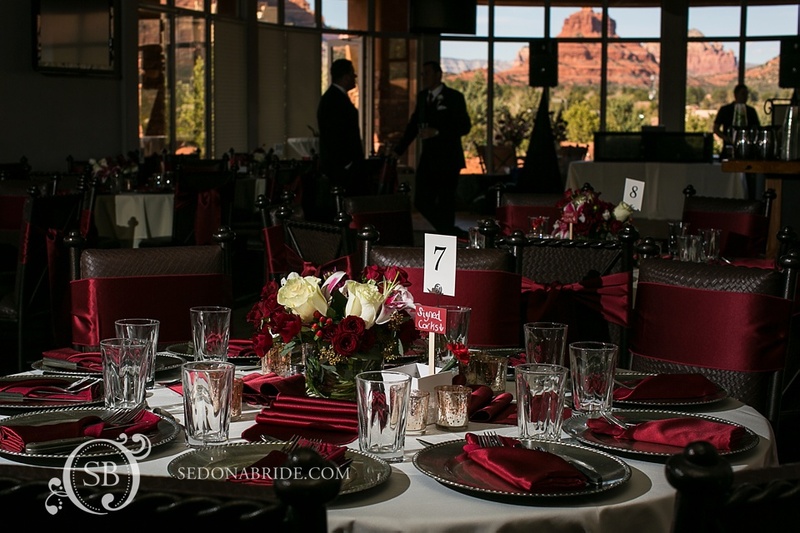 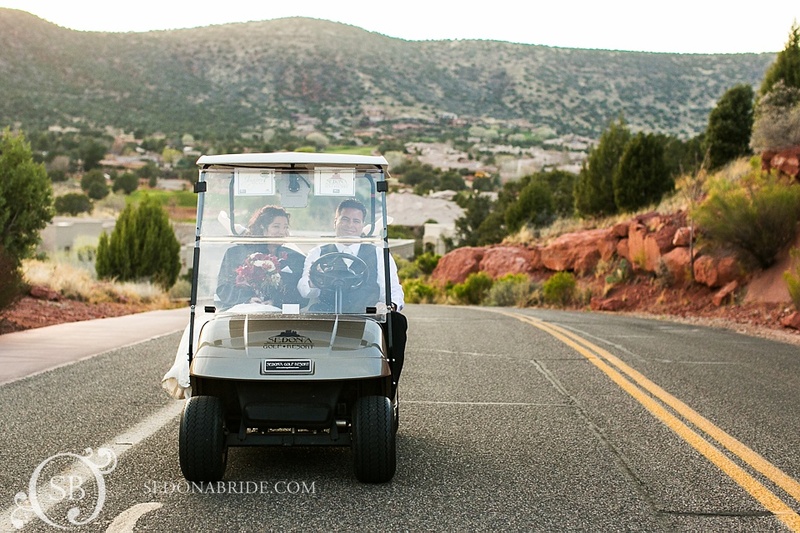 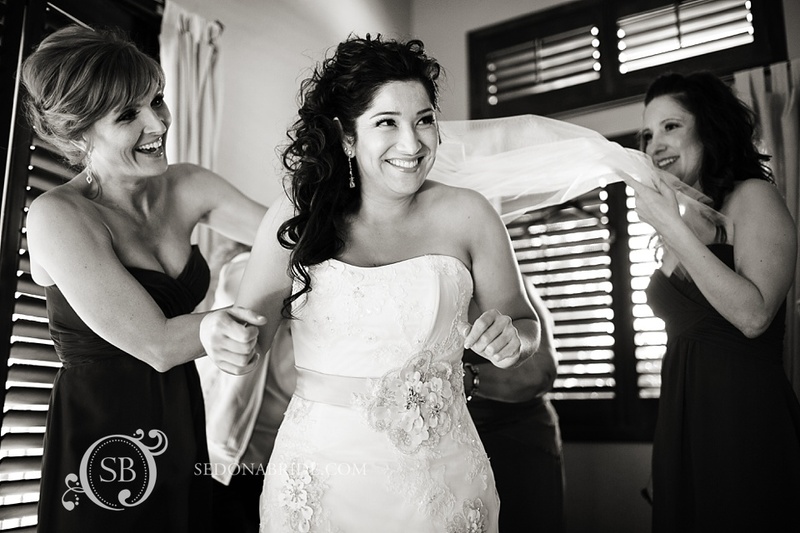 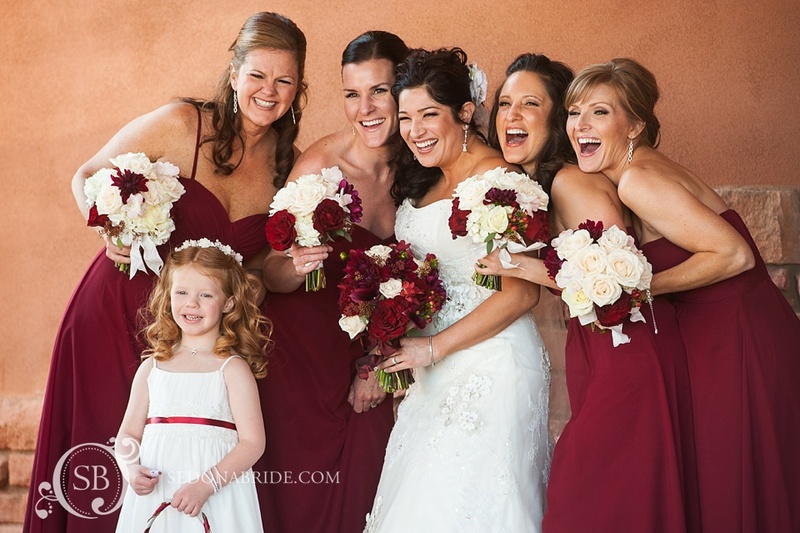 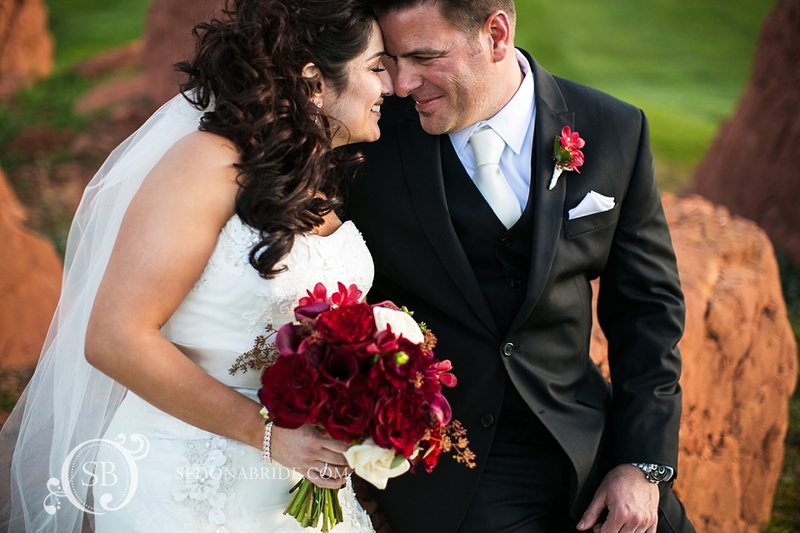 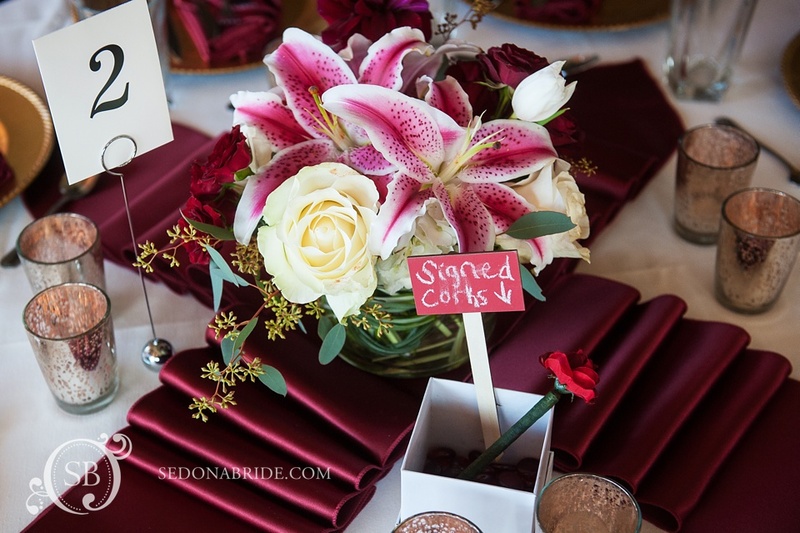 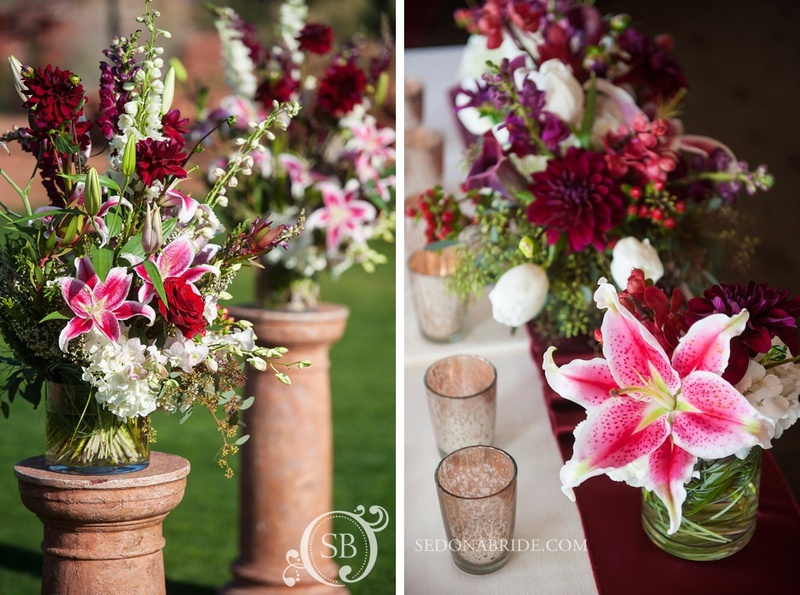 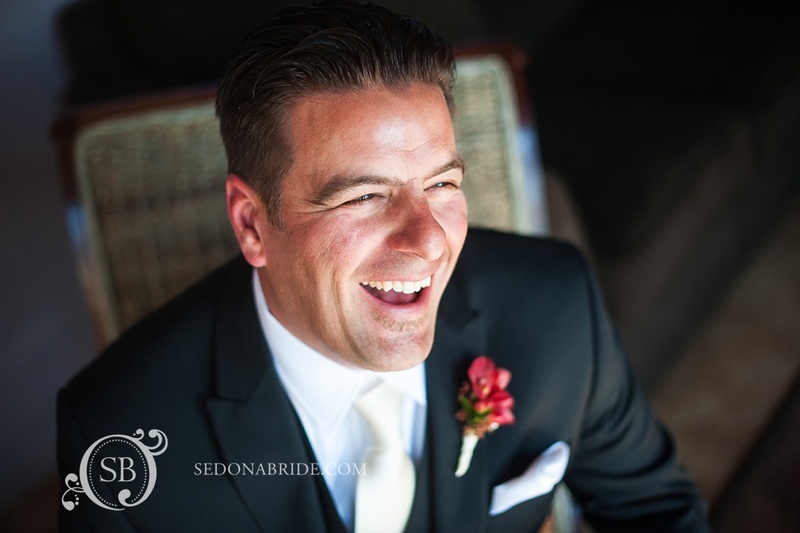 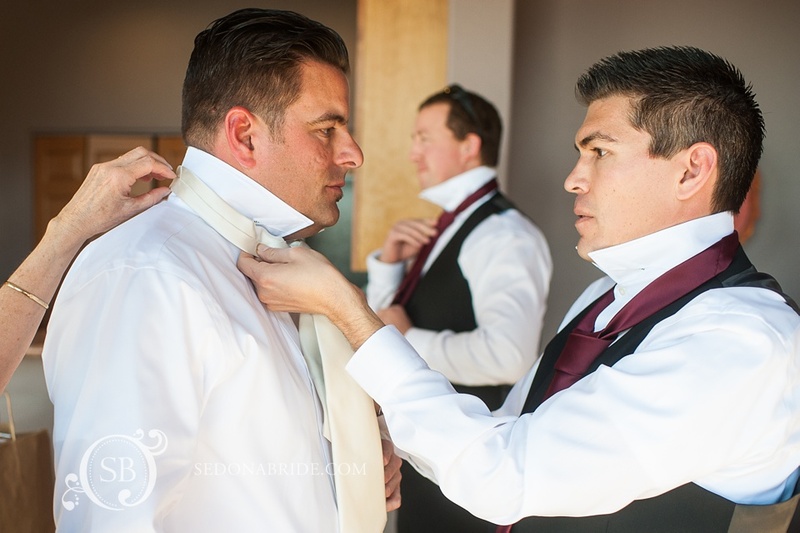 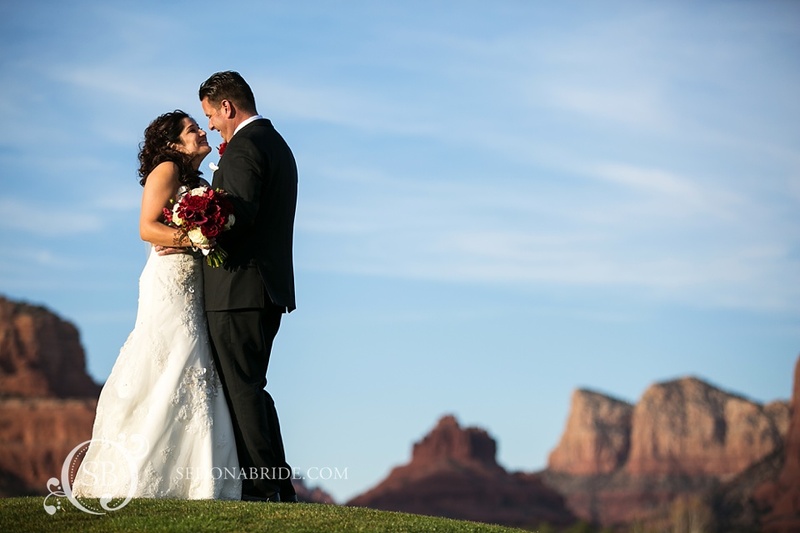 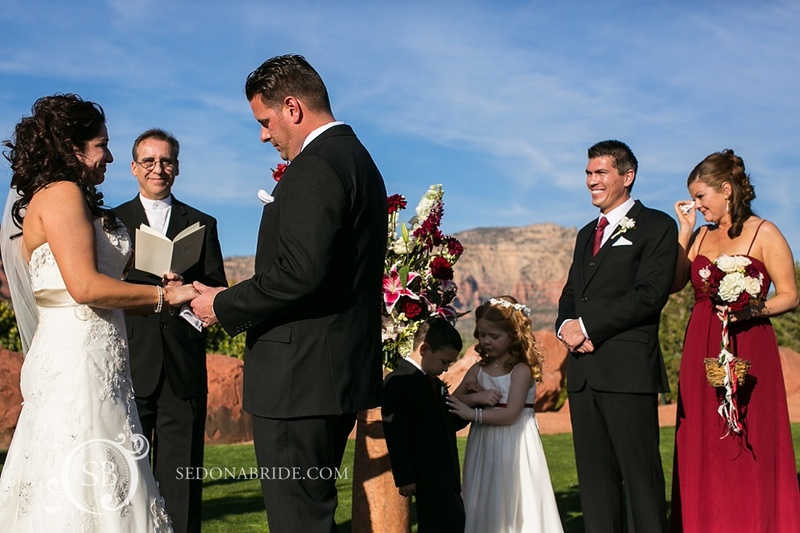 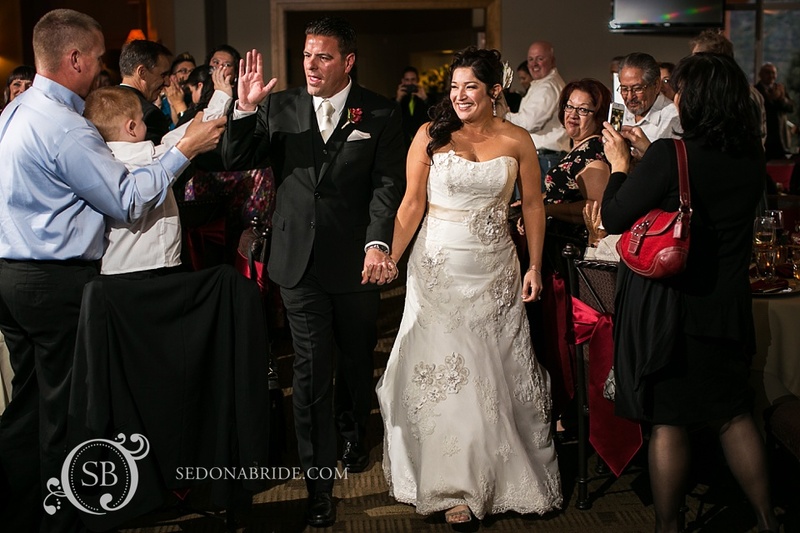 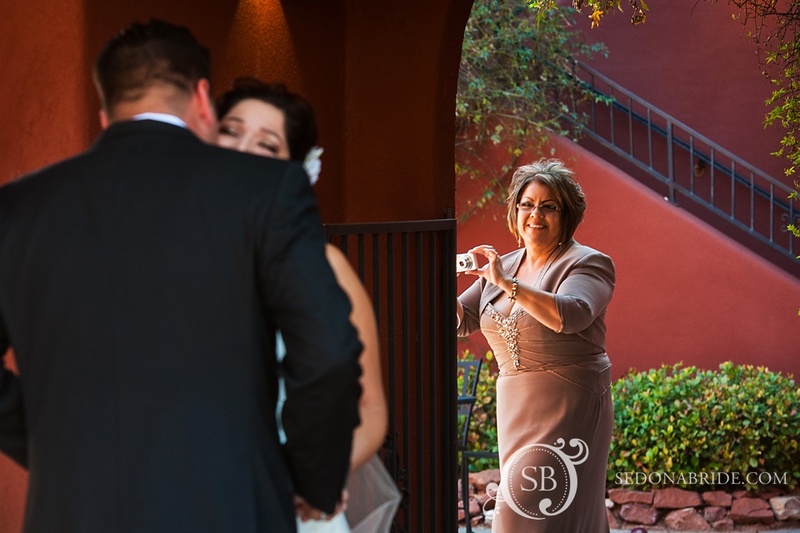 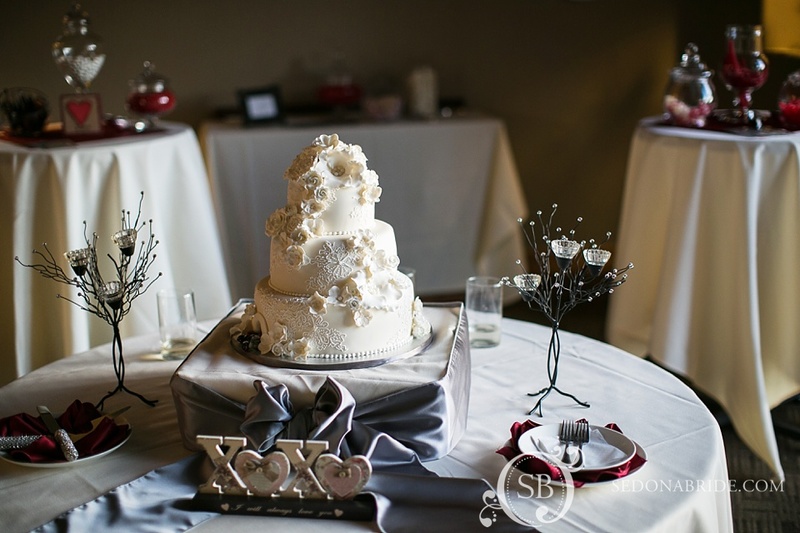 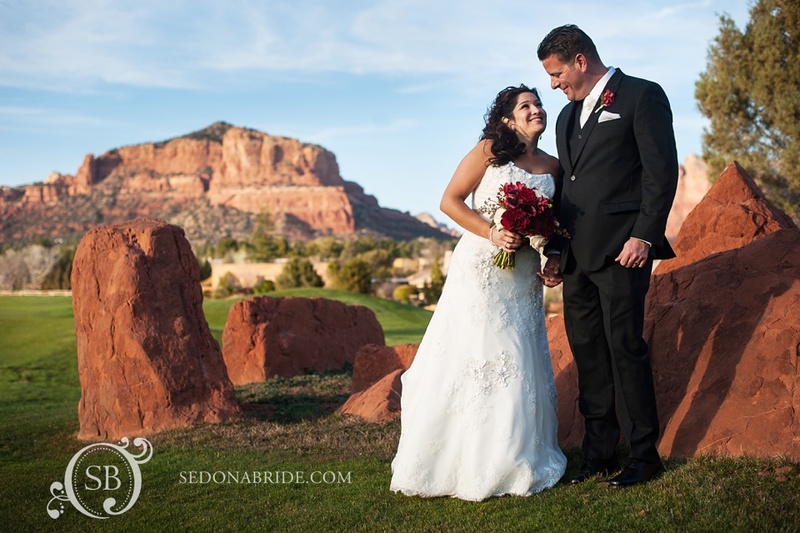 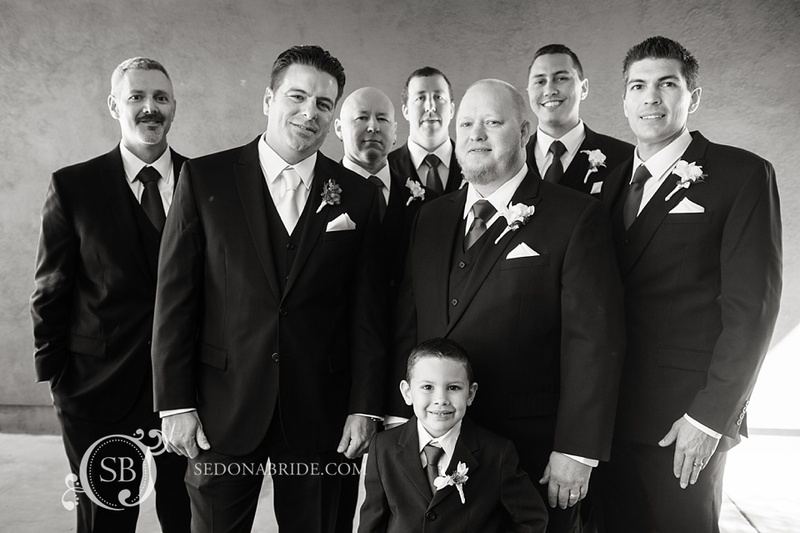 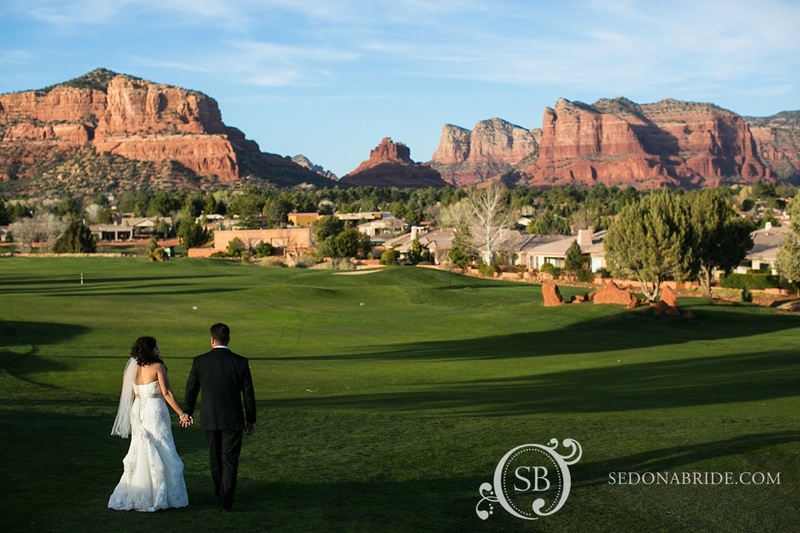 We love this sunny winter wedding at the Sedona Golf Resort. 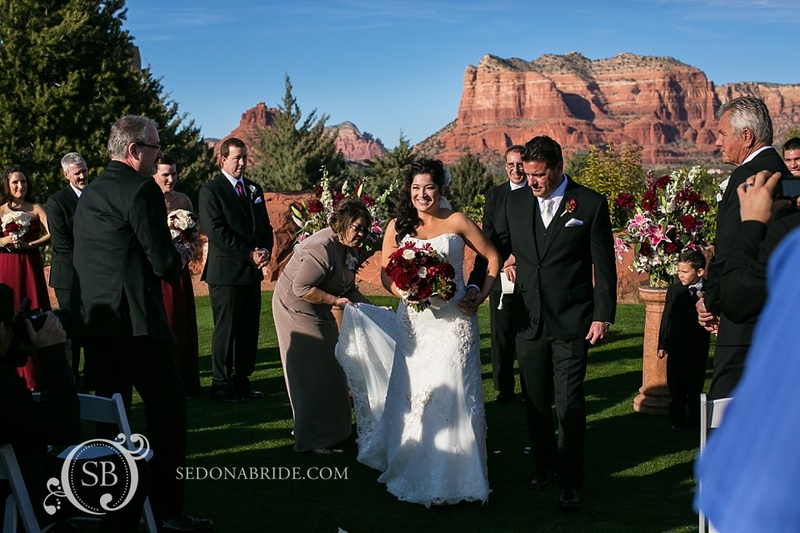 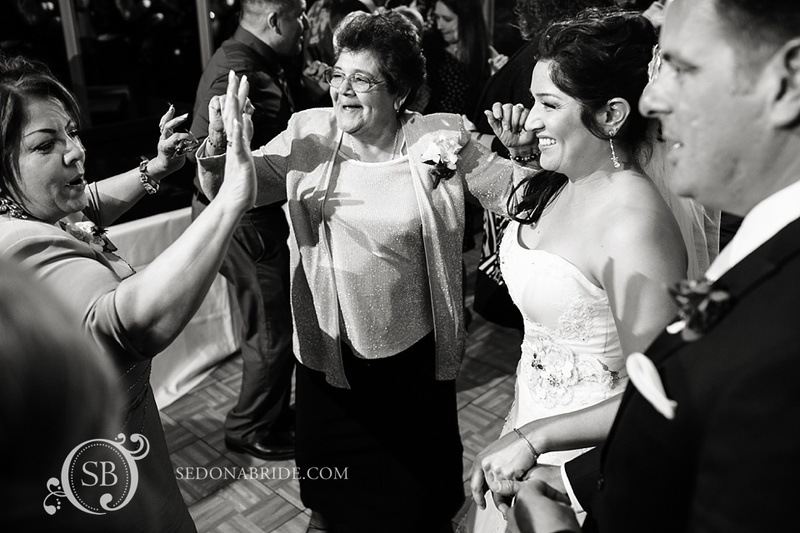 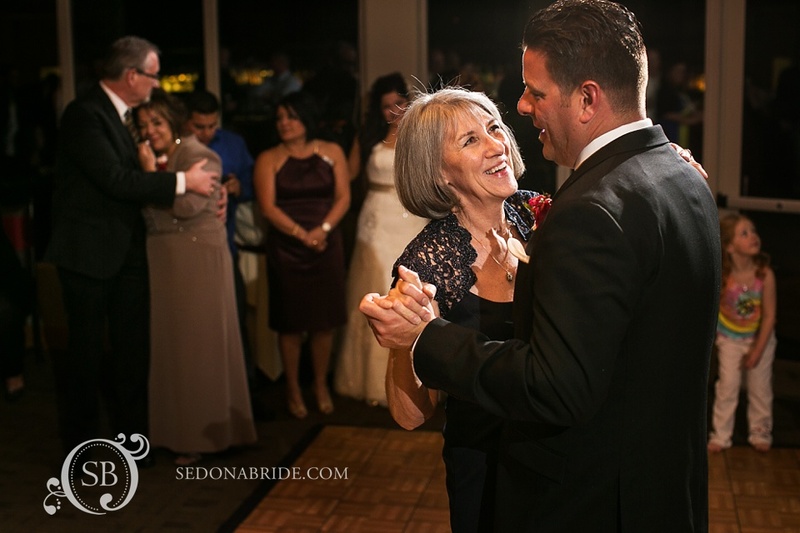 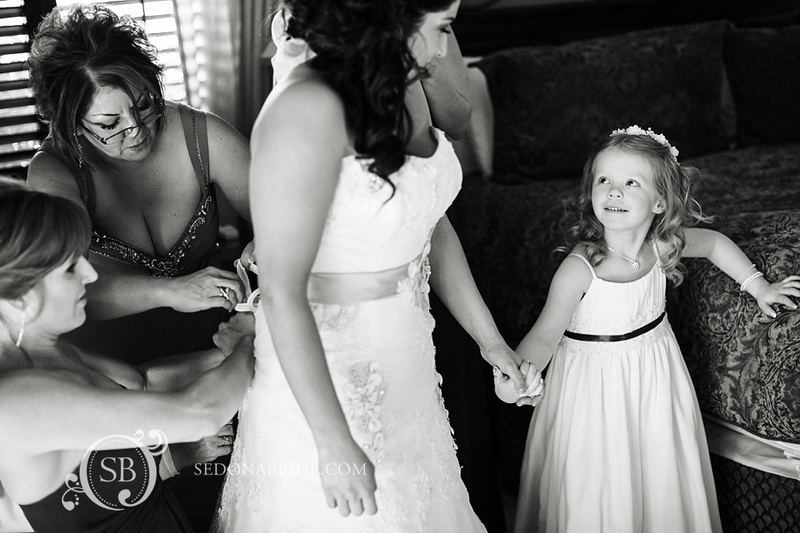 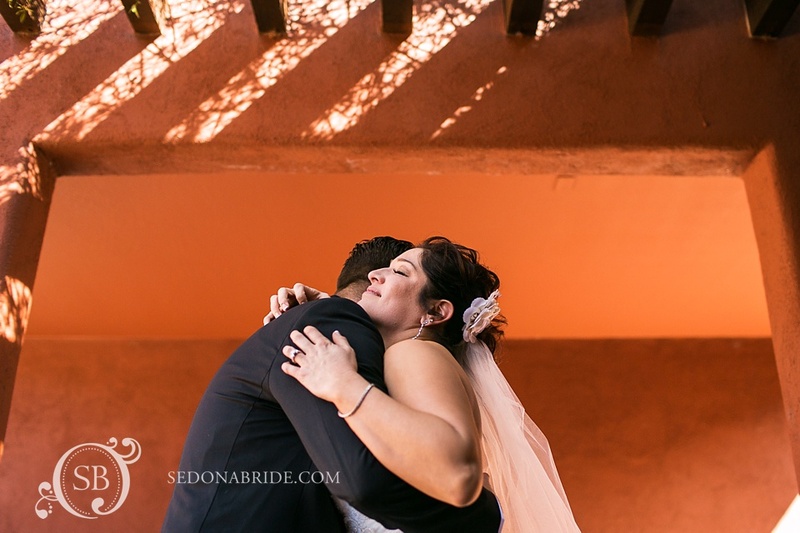 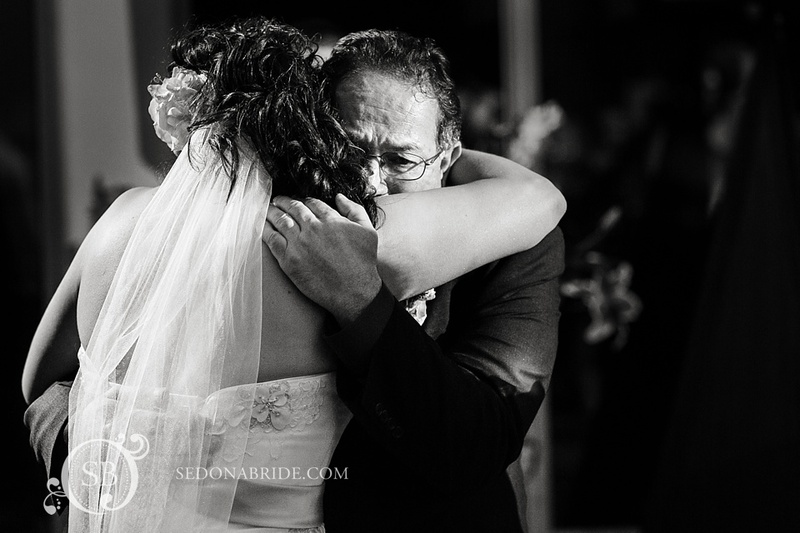 Family wedding celebrations like this featuring smiles, laughs, hugs, and emotion in such a beautiful and serene setting are what makes Sedona so unique. 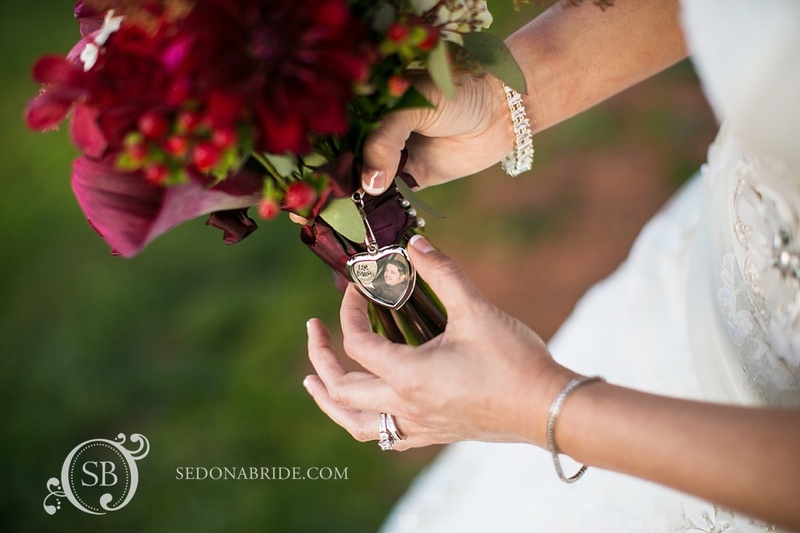 Click HERE to see more images from this fantastic wedding! 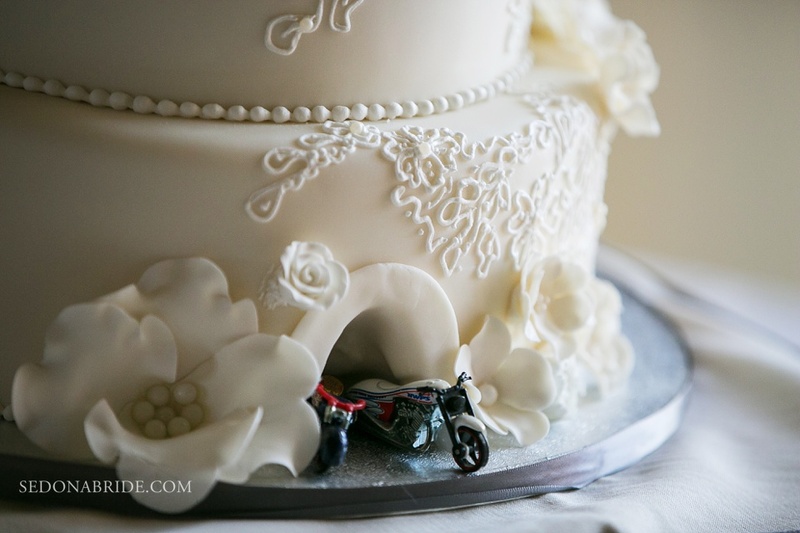 The bride and groom love to ride motorcycles, and the toy motorcycles coming out of this wedding cake, by Sedona Cake Couture, was a great way to personalize it. 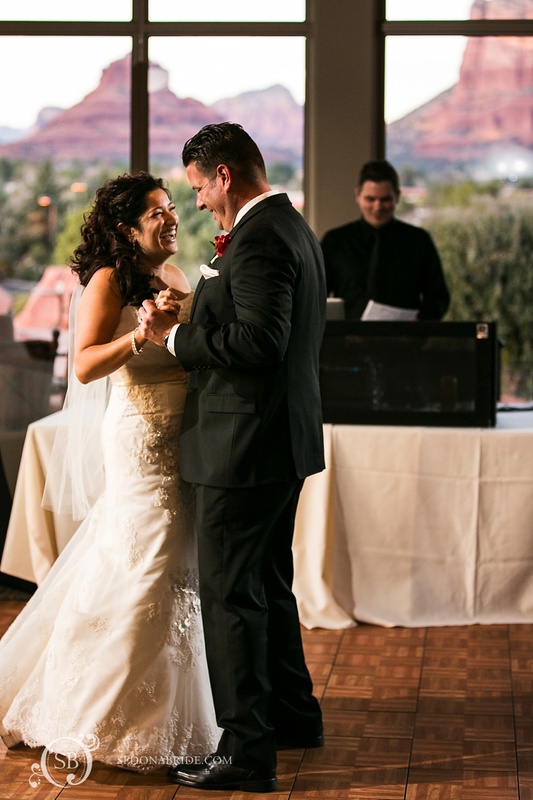 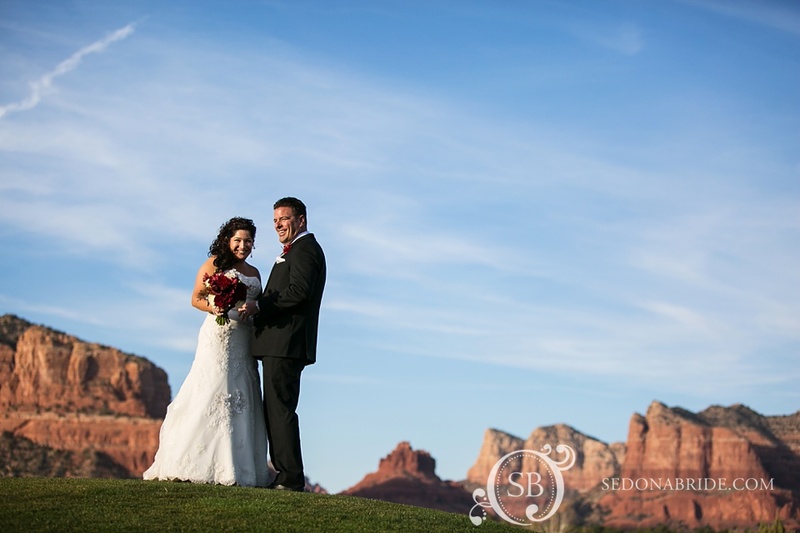 This Sedona wedding venue has the most amazing red rock views from their dance floor!